If you are like most homeowners, just the mere thought that you might have mold in your home probably makes you feel queasy. 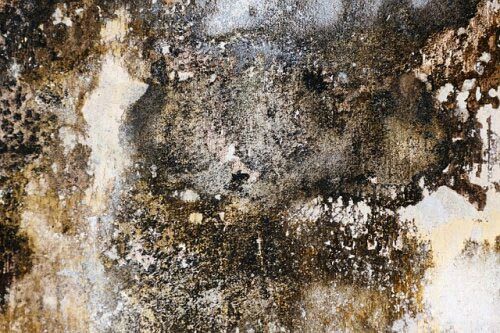 The more you learn about mold now, the less likely you are to ever have to face a mold cleanup in the future. In this post, learn what you need to know to keep your home safe, clean, and free from mold spores. Unfortunately, mold can grow just about anyplace you can imagine. Virtually no surfaces or substances are off-limits to the equal-opportunity spores. In fact, if you've ever scraped the green bits off an otherwise still-edible chunk of cheese, you've already observed how readily mold can take root in even a bit of damp. The good news is, mold will usually grow only in the presence of humidity or dampness. So your key to preventing mold growth in any vulnerable area is controlling the amount of humidity in the air and moisture in the space. If you have ever walked into a building and felt your throat start to itch and you started to sneeze, you may have been in a "sick" building. Sometimes experts say a building is sick when mold has been allowed to grow to the point where the spores become airborne and the air is toxic. This is a severe case, and the cleanup will probably be extensive. Ideally, you learn to recognize the signs that mold has begun to grow so you can take immediate action to address the problem before it gets dangerous. While this set of symptoms could indicate other health issues as well, and not all symptoms need to be present in order to indicate there may be mold nearby, it is still important to know what health symptoms are showing. You can match up these symptoms with other signs of mold to get a more accurate picture of the situation. One sure sign that your symptoms may be stemming from the presence of mold is if you start to feel better when you leave your home, but the symptoms return when you arrive back home. Even experts agree it is incredibly difficult to keep any space completely mold-free. The key to maintaining high air quality and health is to control mold to the best of your ability. Monitor the air for dampness (aim for 50 percent humidity or lower; 30 percent or lower is ideal). Locate any damp areas in your home or garage and repair them. Monitor for water leaks and repair them. Direct all vents (dryers, washers, bathrooms) outside. Seal up sinks, bathtubs, showers, and toilets to keep moisture out of walls and floors. De-clutter your home, basement, garage, attic, etc. Remove any carpeting near plumbing or areas with a tendency toward dampness. Use area fans to dispel humidity in rooms (such as bathrooms). Clean and disinfect your home regularly. Have your HVAC system and duct work cleaned and inspected regularly. Sometimes mold just takes root and grows despite your best efforts. Because mold can grow quite quickly, you may not have any warning sign until it becomes more serious, especially if the mold is a result of a hidden water leak or dampness under carpets or floorboards. Here, you will want to have your home inspected for mold and then have any affected areas cleaned. It is typically not necessarily to know exactly which type of mold you have, since all known types are considered health hazards for humans. Isolate areas to be cleaned from other areas. Wear eye and mouth/nose masks during cleaning. Mist surfaces before cleaning to control for dust in the air. It is best not to vacuum to prevent dust (and mold spores entering the air). Use simple soap and detergent for cleaning. Clean the HVAC system thoroughly. Safely dispose of all contaminants and cleaning materials. Change all air filters immediately after the cleaning. Install a HEPA filter immediately after the cleaning is complete. Thoroughly ventilate and dry the area. Avoid putting down carpeting in affected areas.